Mobile operator Vodacom has announced it will slash out-of-bundle data prices by 50% from 15 March. The announcement comes as the new 99c per megabyte tariff comes into effect. The out-of-bundle rate has already been reduced to 89c per megabyte for post-paid customers from 1 October. Vodacom says it’s trying to encourage customers to use bundles. The company faced criticism for charging customers while other mobile operators were offering data roll-over for free. Vodacom says in implementing the Icasa regulations, they have slashed out-of-bundle data rates by between 45% 70% to ensure increased value to customers. Roll over of data will be now be free. 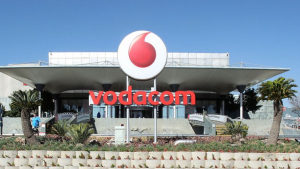 In a statement, Vodacom says ahead of the planned launch of the end-user and subscriber service charter on 1 March 2019, it will implement a number of other innovations to ensure it is fully compliant with Icasa’s regulations. The post Vodacom cuts out-of-bundle data prices by 50% appeared first on SABC News – Breaking news, special reports, world, business, sport coverage of all South African current events. Africa's news leader..